Like a roller for your lash hairs, this super sought-after mascara features an eye-opening Hook 'n' Roll brush to grab, separate, lift and curl. The formula is enriched with eyelash-conditioning provitamin B5 and serin and gives a satin finish that’s water-resistant – yet easy to remove. This super-cute travel sized mini is perfect for looking polished when you’re on-the-go. 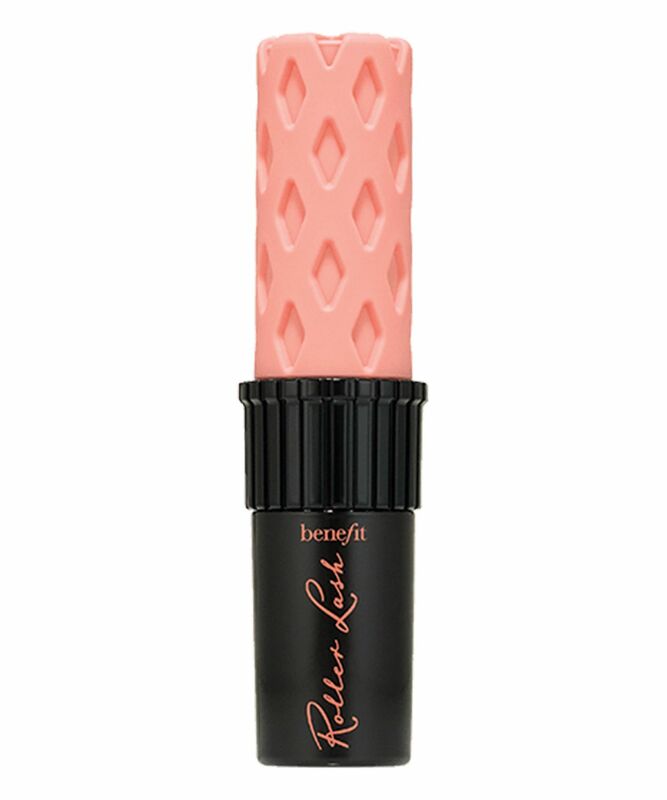 Benefit’s Roller Lash Travel Size Mini lifts and curls eyelashes for exquisitely enhanced, perfectly defined peepers. Eye-deal for short or straight lashes, this mascara features a unique Hook ‘n’ Roll brush that grabs each lash separately for the ultimate lifted and curled look. The long-wearing formula is water-resistant (but easy to remove once you’re ready) and enriched with gorgeously conditioning, lash-loving provitamin B5 and serin to soften lashes and promote growth. In eye-enhancing midnight black, your lashes will be left perfectly lifted and enviably curled, wherever you are. Gently wiggle the wand from base of lashes to tip. Repeat across your lash line, making sure to catch every lash.